This is an electronic copy of poster presentation at Cold Spring Harbor Laboratory conference jointed held with the Wellcome Trust Genome Campus in Hinxton, England. It is welcome for anyone to view the work via clicking the link or to download a copy of the digital version of this presentation. 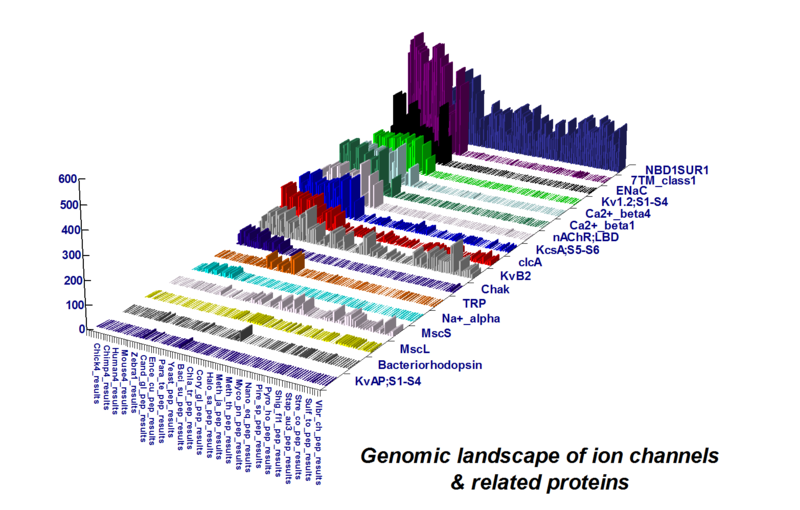 It briefly addresses the construction of genomic database (of ion channel proteins, in this case), which focused particularly on potassium channels and nicotinic acetylcholine receptors. Target sequences of interest can be studied further to understand how they may function biologically, by means of pairwise alignment (2D) and computational models (3D) provided any significant homology detected from the previous alignment. An example of screening genomes from the bottom of the evolutionary hierarchy to the very top, homo sapiens, as it is currently believed to be. This work focuses on ion channels as the majority of therapeutic targets are known to be either families of membrane proteins or those conducting regulatory functions to them. Once the system is in place, it only requires a representative input sequence to scan the same genomic space, in order to identify putative targets of the disease associated with the initial input. Having said that, this step is merely the start of discovery process. Medical statistics will take a strong hold during the stage of development. More to come!